Join the Defenders Sept. 16 in Richmond to protest white supremacy! Take down all the Confederate statues NOW! The organizers claim that “This rally is a Heritage ~ Not Hate Rally.” Right. Waving Confederate flags near a Lee statue so soon after Charlottesville in a city that is half-Black is clearly meant to be a declaration of white supremacy and must be opposed. Many Richmond progressive groups have called for protests, some on Monument Avenue, some in other parts of the city. We support all expressions of anti-racism. 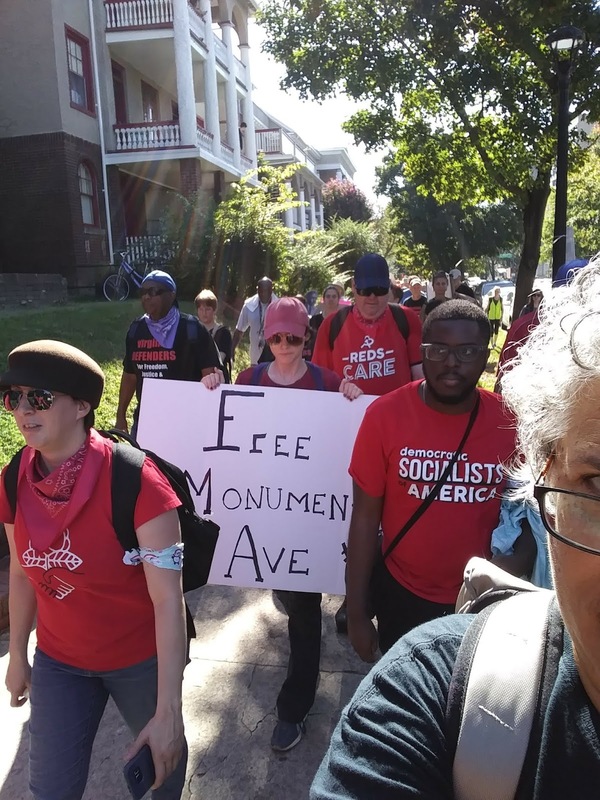 For our part, we will be as near to the Lee statue as possible, with signs, banners and chants denouncing white supremacy and calling for the Confederate statues to be taken down. Richmond today is facing many daunting problems, from the sorry state of our public school buildings to plans to demolish public housing to the shrinking of public transit to a 25% poverty rate to the epidemic of street violence. And in one way or another they all are the result of the culture and institutions of white supremacy. If we are going to be able to address these challenges, we should at least be able to remove the city’s most offensive symbols of racism. Please join us this Saturday!